June 11, 2018	9:58 AM CDT By Ed Sadlowski, Jr.
“Oilcan” passed away today June 10, after a hard struggle with Lewy body dementia. He was born in Chicago, IL, on September 10, 1938, across the street from the Steel Workers Organizing Committee (S.W.O.C) Union Hall. He was the son of Edward and Mildred (Sanders) Sadlowski. A great labor leader, educator, mentor, a true “Pal,” the best kind of friend — an instant champion of your cause. Knowledge is power. Ed Sadlowski spent his lifetime fulfilling his calling that everyone “Know the score,” or “Who is screwing who.” He never gave anyone a “Bum steer” when advice was sought, or more commonly when his counsel was passionately proffered. His people were forged and tapped from hard living in and around the coal mines of Southern Illinois, and from the intense heat of the steel making furnaces which lined Lake Michigan’s Southern shoreline. His father “Load,” worked the ore bridges at Inland Steel in East Chicago, Indiana. “Load” was a militant, a true believer. The Congress of Industrial organizations was his thing. He was a Steel Worker Organizing Committee activist, a founding member of USW Local 1010. 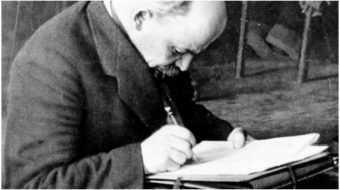 With a culture of direct action by workers on the shop floor, the local union cultivated loyalty of the membership and the active participation of the rank and file in the day to day functions of the union. Clean, democratic trade unionism has become the hallmark of the Sadlowski family heritage. “Oilcan” always made it his business to ensure the elder generations spent time with the younger crowd. Life’s hard lessons have been handed down. In 1956, Ed Sadlowski landed a job as an oiler in the machine shop at United States Steel South Works, located on Chicago’s Southeast Side. His identity was quickly shaped by his work environment. Like many in the mills, like his father before him, he picked up a handle along the way — “Oilcan Eddie.” Eddie and Marlene McDillon were high school sweethearts from the proverbial different side of two mill gate community tracks. A river also ran through it. He was a South Chicago working class kid. She hailed from the neighborhood farthest east in the city. Somehow it is a perceived “step up” across the Calumet River, known as the “East Side.” Ed and Marlene Sadlowski were married on January 31, 1959. 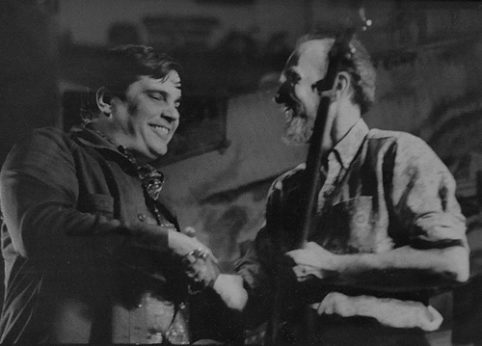 In 1964, at the age of 26, Eddie led a diverse coalition of rank and file workers to victory, upsetting an entrenched incumbent to become president of United Steel Workers Local 65. With her calm wisdom, deep compassion, and profound love for others, Marlene has not been the woman behind the man, but she remained standing by his side. In the early days, Marlene was active in the Women’s Auxiliary, which meant social gatherings, political rallies, parades, and countless meetings at the Local 65 Hilding Anderson Union Hall. Eddie and Marlene began taking on responsibility for the good and welfare of 14,000 steelworkers, and at the same time, a growing family of children, Susan, Patty, Edward, and Diane. In 1975, Ed Sadlowski beat the hand-picked successor of the “USW official family” by a 2 to 1 margin to become director of USW District 31. This was steelworker insurgency – “Steel Workers Fight Back.” District 31 was the largest district in the USW. The victory followed an earlier election for the directorship wrought with charges of fraud against the “official family” of the union. The U.S. Department of Labor re-run is considered the most supervised election in labor history. In 1976, Steel Workers Fight Back slated Ed Sadlowski to head a racially diverse ticket challenging the International Executive Board of the union. During the campaign leading up to the 1977 election, steelworker Ben Corum was shot in the neck handing out Steel Workers Fight Back literature at the Hughes Tool Plant located in Houston, Texas. “Fight Back” was organizing delegates to the USW International Convention demanding the right of union members to vote on their own contracts, regain their right to strike, and to have a say about their union dues. These hard-won democratic rights are taken for granted by many in the labor movement today. 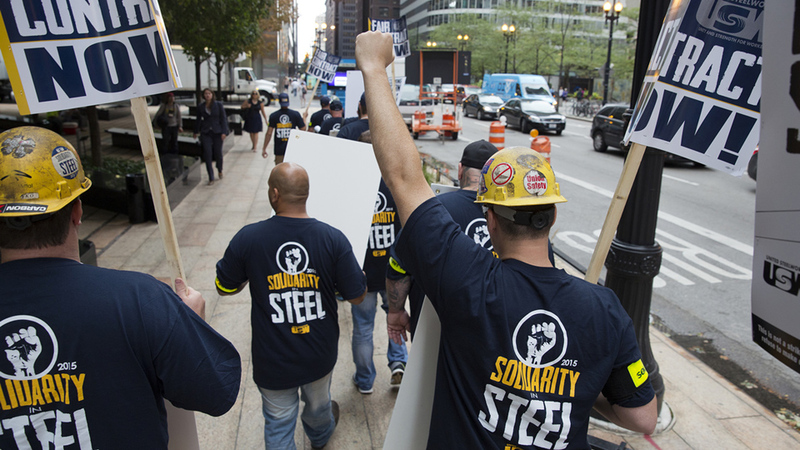 Without question, the Steel Workers Fight Back insurgent movement has changed the culture of the USW, and the labor movement for the better. Ed Sadlowski is survived by his loving wife Marlene; four children, Susan (Raul) Garza, Patricia Hoyt, Edward (Emilie), Diane (Chris) Agelson, grandchildren, David (Angie) Garza, Ryan Garza, Kate Garza, Tyler Garza, Deanna Hoyt, Adrianne Hoyt, Faith Sadlowski, Evelyn Sadlowski, Ed Sadlowski II, Angela Agelson, Hallee Agelson, two great grandchildren Aria and Sofia Garza, many nieces, nephews, and untold Sisters and Brothers in the labor movement. 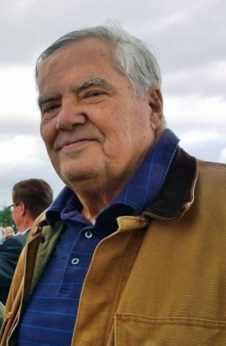 He was preceded in death by his parents; siblings, the late Arleda (Leonard) Kasbohm, Patricia (Jack) Ferguson, and Linda Sadlowski (wife of Patrick J. Reynolds). 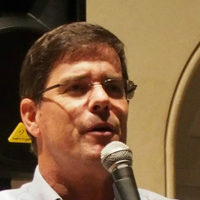 Edward A. Sadlowski is Deputy Director at Milwaukee Teachers' Education Association.